A statewide federation of local chambers of commerce came together today to begin rallying support for transportation funding in advance of a November ballot initiative. The Missouri Chamber Federation includes more than 125 local chambers of commerce. For years, members of the Missouri Chamber Federation have listed transportation funding as a top state policy goal. In November, Missouri voters will be asked to approve a 2.5-cent fuel tax increase each of the next four years. Missouri’s current 17-cent per gallon fuel tax is one of the lowest in the nation. It has not been raised since 1996. 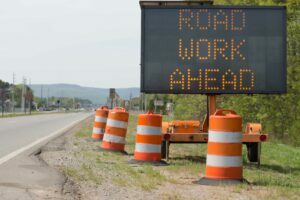 If passed by voters, the ballot item would bolster the state’s funding for public safety and road and bridge construction. It includes new revenue for local transportation projects. The June 1 meeting took place during a conference call hosted by the Missouri Chamber of Commerce and Industry.